It has been crazy around here. My parents came into town to celebrate Oldest's 9th birthday. While they were here mom and I of course had to go shopping which led us to one of my favorite antique malls. Since we were there I decided to go ahead and buy the paint for our kitchen cabinets. 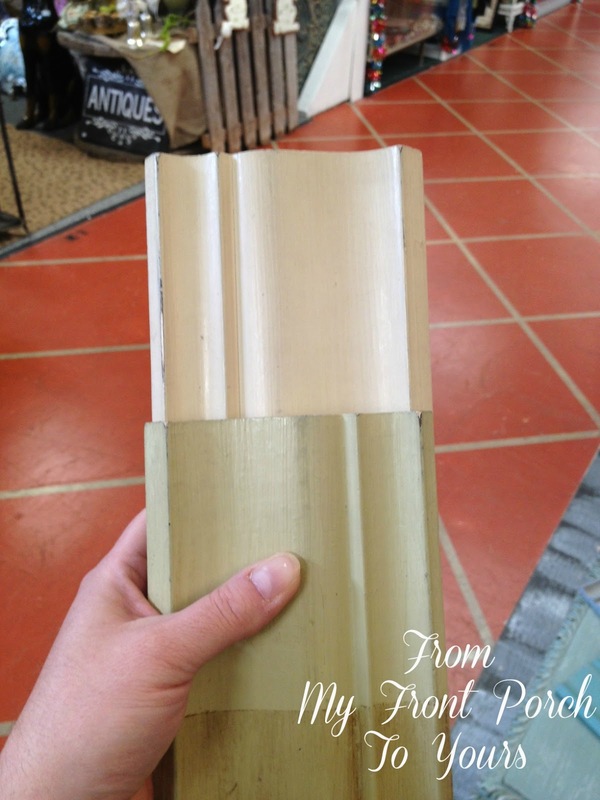 I was originally going for Annie Sloan Old White and Country Gray but after mom and I looked at the samples we decided to come home with Old Ochre and Versailles. I over bought on the Versailles though! :( It looks so much more green at home than it did at the shop. I am hoping I can maybe exchange the one unopened can for another color but I am not sure that will be allowed. 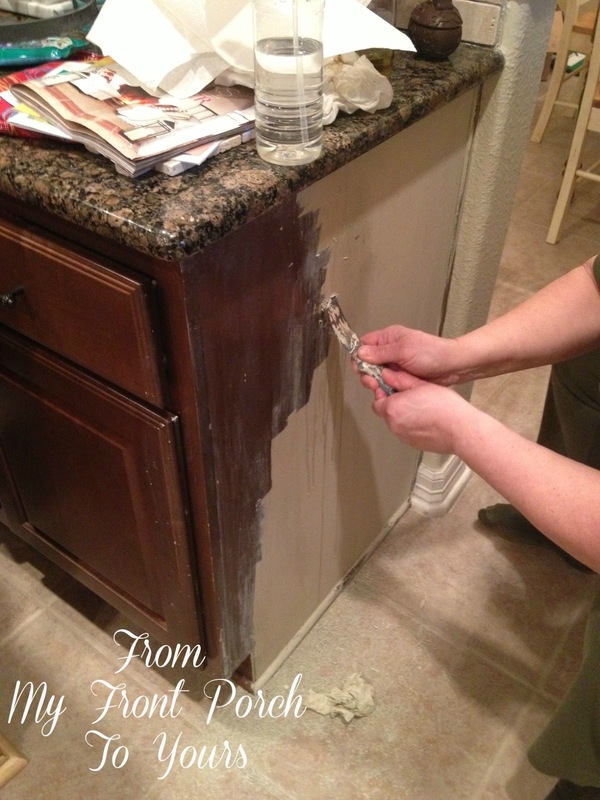 After bringing home different paint colors mom helped me take off the paint I had already started to apply to the bottom cabinets while I worked on painting other areas. She wanted to see one of the doors done before she left so this is what I came up with. I am still working on the oven area. Eventually it will get redone because our long term goal is to purchase a micro/oven combo and have it installed in this space. After my parents left The Nana & The Papa came. We needed The Papa's expertise on just how to create what we had envisioned for the new range hood. 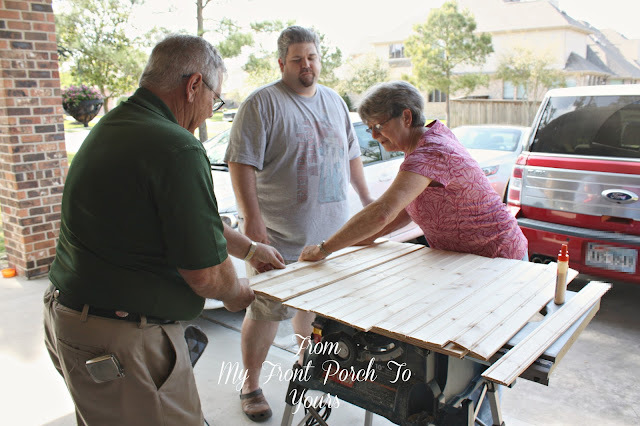 After debating on just what type of arch we wanted The Nana & The Papa made a sweeping arch template and cut it out of some printer paper so we could see just how it would look. Next up we put together some bead board slats and attached them to a wood panel with liquid nails. Here is the beadboard panel in place and the newly made arch stained before I painted it. Ah Pamela your kitchen looks gorgeous already! Can't wait to see the full reveal! Wow, I can't wait It looks fab so far. Oh my, it's going to look sooo good! Nice to have all your help...that's great! That kitchen is looking pretty good!!! I can't wait to see the final pictures. Wow, wow, wow!! So exciting!! It is really coming together and looking gorgeous!! Such exciting changes for your kitchen. Can't wait to see the final results!!! It's really coming together, Pamela! 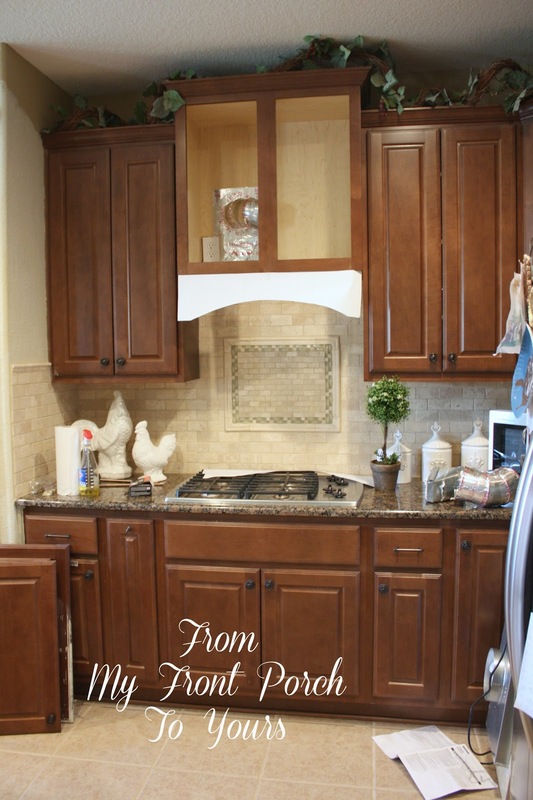 I love the contrast between the stain and painted cabinets. 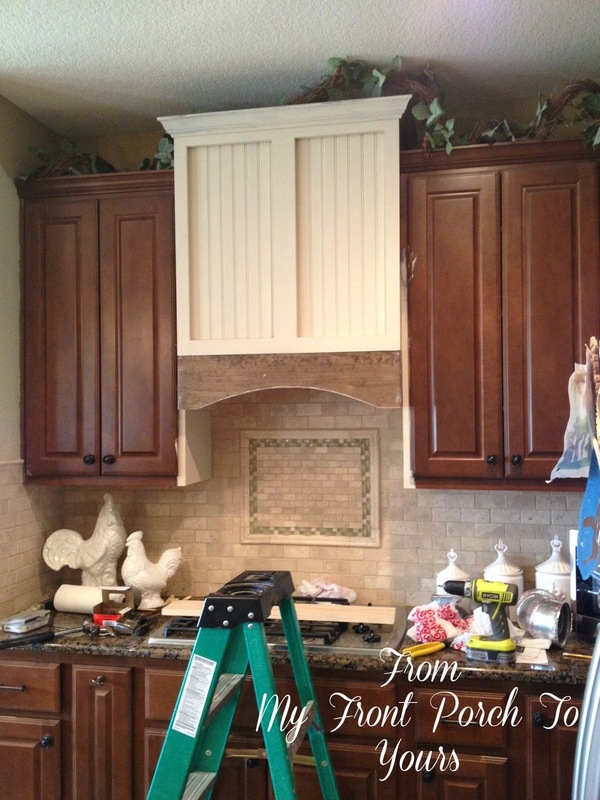 And your backsplash looks amazing! Pamela it's looking so good! 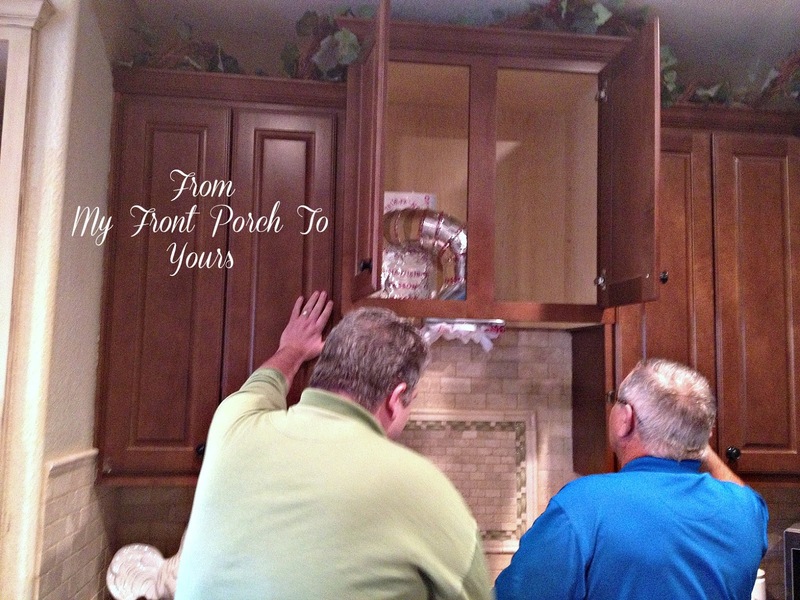 Can't wait to see the cabinets finished! The kitchen is going to look beautiful! It's all looking great and thank you for sharing at my NTT party. WOW, girl is that going to look amazing! Your progress looks fantastic. 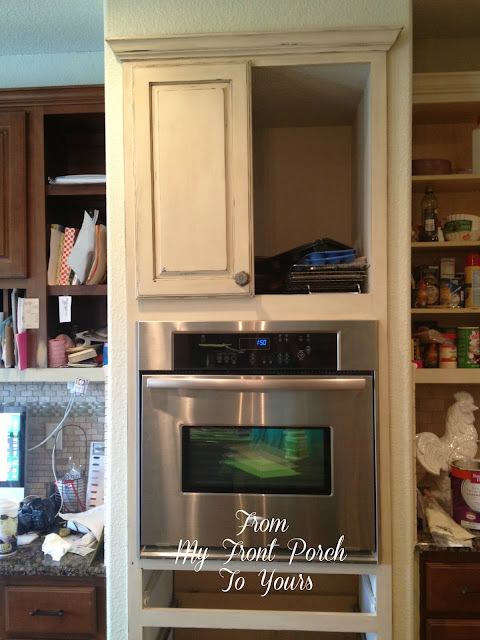 I can't wait to see how your new range hood turns out. If you figure out to teach your pup to paint I want a tutorial. If I could get all my girls painting I would paint all my kitchen cabinets. Can't wait to see that hood. Wow, this will turn out so pretty. A lot of work (I did it), but worth it. Love what you did to the glasdoors. So pretty with wood instead. So excited to see someone else transform their kitchen with chalk paint! I love how ours turned out. Can't wait to see yours all finished up! It's looking great, Pamela! The stove hood is going to look fantastic. Love the tile backsplash. I'll bet you'll be glad to get the microwave off the counter. 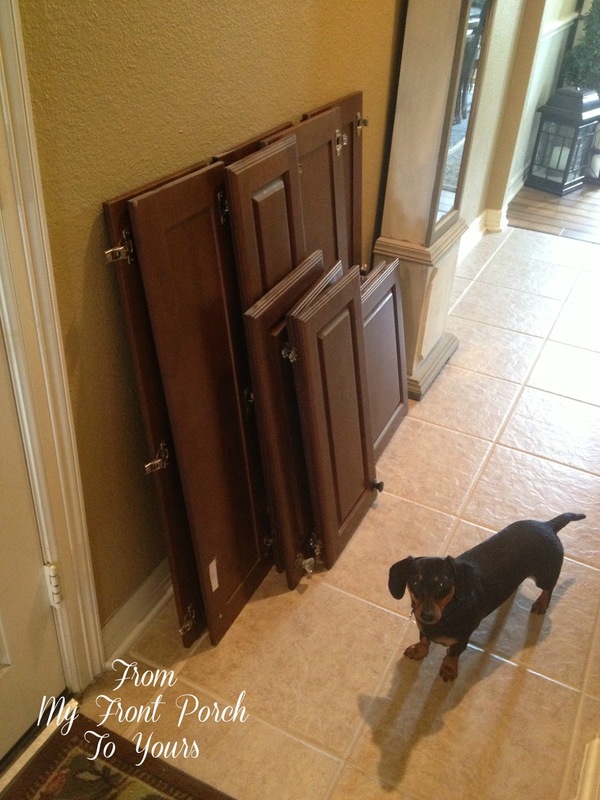 We had ours like that in the old house and I hated how much counter space it ate up. So glad that when we moved here there was one over the stove and when we got new appliances we just put the new one in the same spot. Stunning so far and can't imagine the whole project. Can't wait. Looking good, Pamela. Love the hood. WoW! You have taken on a huge task...and it looks fabulous!Love the colors you chose!! It's going to look awesome, Pamela. I know you must be so excited to get it finished! It's looking fantastic, Pamela ... and quite a team, too! I can't wait to see the reveal! Pamela, I love the new stove hood and the paint color will be fabulous on the cabinets. The kitchen will be beautiful when completed. It is looking so gorgeous in there! I know from doing many kitchens, it is SO MUCH WORK! Especially when it is your own and you are working here and there around your family's schedule. It will be worth all the effort. Love how the door looks, the arch for the range is going to be gorgeous. So excited for you! 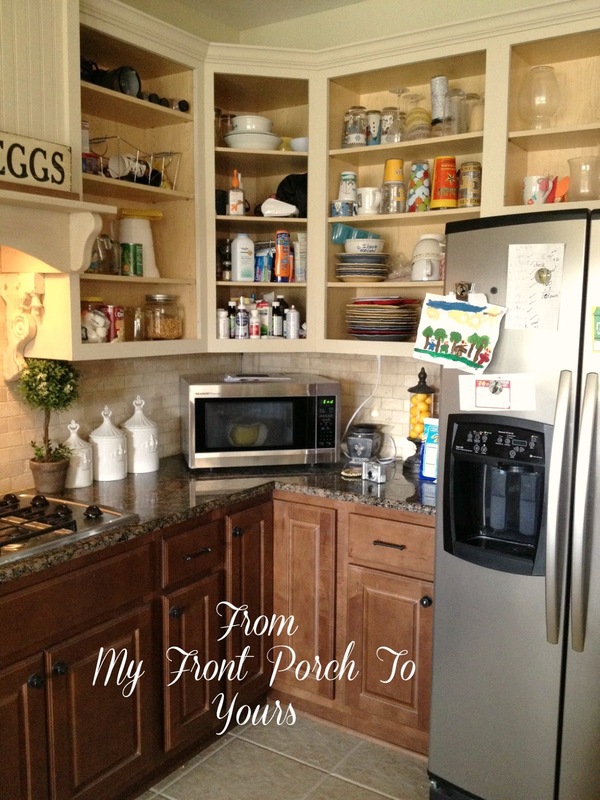 I love how your kitchen is coming together so far, especially the combo of stain and paint. Your backsplash and grout marry all the textures and colors perfectly. It's interesting without being busy. I LOVE it! 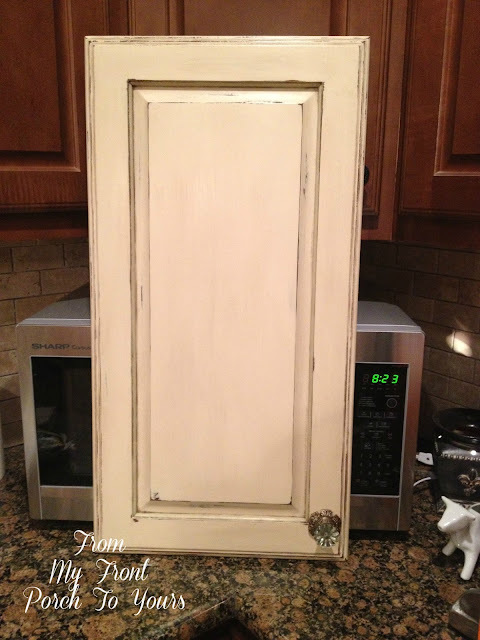 Oh, and the paint finish on the cabinet door? People pay gazillions of dollars for that look. You are so talented. It looks beautiful! What color did you end up choosing? Old Ochre? Love how it is coming along!